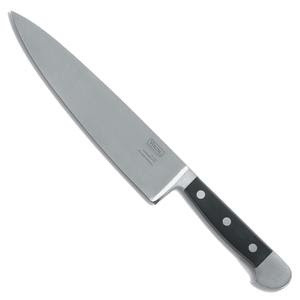 In the kitchen of every good chef, you'll find a great knife. B and I took a cooking class together, and that's when I first encountered this knife. It is by far the best knife I've ever had the privilege of touching. I guess you could call it love at first slice. 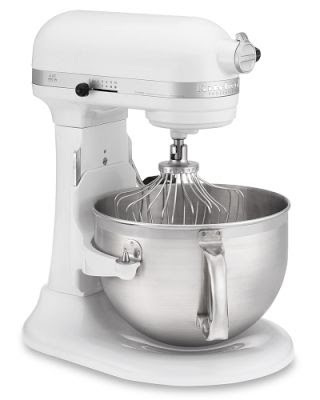 And for all those items that need to be mixed by hand, a gigantic mixing bowl is the key. 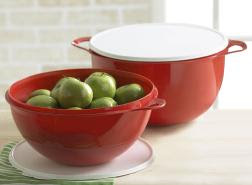 I feel a little retro singing the praises of Tupperware, but this bowl is amazing! It can handle the stickiest of situations (think: extra-gooey Rice Krispy Treats) and somehow all the goo magically slides away when you spray it with water. This bowl can even handle my super-big batch of cinnamon roll dough without overflowing. 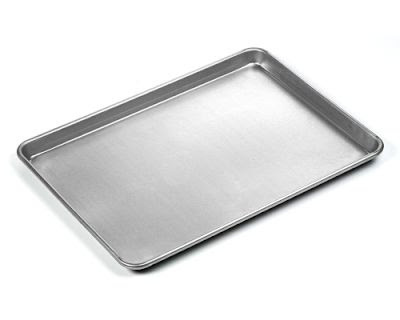 For baking anything from sugar cookies to pizzas, good cookie sheets are a must. These commercial quality half-sheet pans are the stuff dreams are made of. 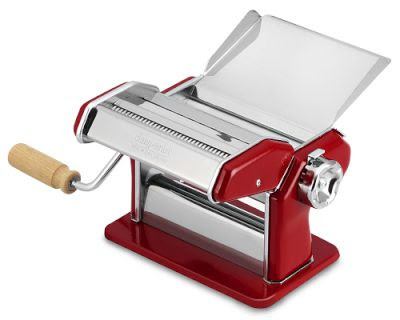 I actually have five of them, so I'm prepared for any culinary situation that may arise. So there you have it, a pretty basic list, but things I can't even consider cooking without.